A comprehensive study of the microevolution of Caribbean populations of African descent, this 2006 book reviews the conditions endured by the slaves during their passage and in the plantations and how these conditions may have affected their own health and that of their descendants. Providing an evolutionary framework for understanding the epidemiology of common modern-day diseases such as obesity, hypertension and diabetes, it also looks at infectious diseases and their effect on the genetic make-up of Afro-Caribbean populations. Also covered are population genetics studies that have been used to understand the microevolutionary pathways for various populations, and demographic characteristics including the relationships between migration, family type and fertility. 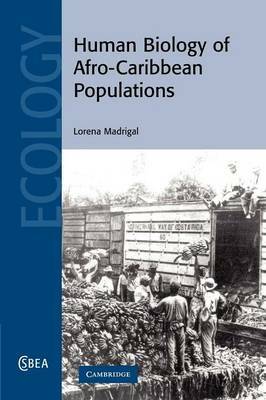 Ending with a case study of the Afro-Caribbean population of Limon, Costa Rica, this book is an essential resource for researchers working in biological anthropology, demography, and epidemiology, and for those interested in the African diaspora in the New World.